Once a buyer has found your product, the bullet points and description need to entice them to buy it. The only goal of sales copy is to sell! People buy products based on the benefits they perceive and by touching on their desires. My copy achieves both! I’ll provide you with a unique product description (HTML-enabled), five bullet points and a list of suggested keywords. If you wish for me to create your listing in Seller Central, please purchase the add-on. If you have an existing product listing you want me to optimise, please see my other hourlies. I can i can create (or update) your listing (single, colour, size, etc), using the new content. I can create (or update) your listing (with variations), using the new content. I can i can set up one manual PPC campaign (Amazon Sponsored Products) for your listing. Please provide as much information as you have about the product, its uses, the target market, photos, etc. Great descriptions, will use again. great thank you will order again. Delivered in time just want I wanted. Very professional and helpful. Vicki has also offered some really useful suggestions. If you need help getting your e-commerce business off the ground (or improving on what you have already), then look no further. I started freelancing after building up my own successful...Read moreIf you need help getting your e-commerce business off the ground (or improving on what you have already), then look no further. I started freelancing after building up my own successful Amazon business, around my two young children. I truly believe ecommerce is a great opportunity to work for yourself, or around a full-time job. It’s given me a lot of freedom and flexibility and I want to help others to achieve the same. I write Amazon product listings which convert into sales. People buy products based on the perceived benefits and by touching on their desires. My copy does both! I have built up contacts with Chinese manufacturers and Trading Companies. I'm able to take your brief, research potential suppliers, and reach out, on your behalf, to source the best price and terms for any product you're trying to source. This part of the process can be tedious and time consuming. I'll do it all for you and come back to you with my recommendations and the reasoning to back them up. I've extensive experience using Amazon Seller Central. I can add your product listings, book in your shipments, manage your PPC campaigns - or any other task you require. 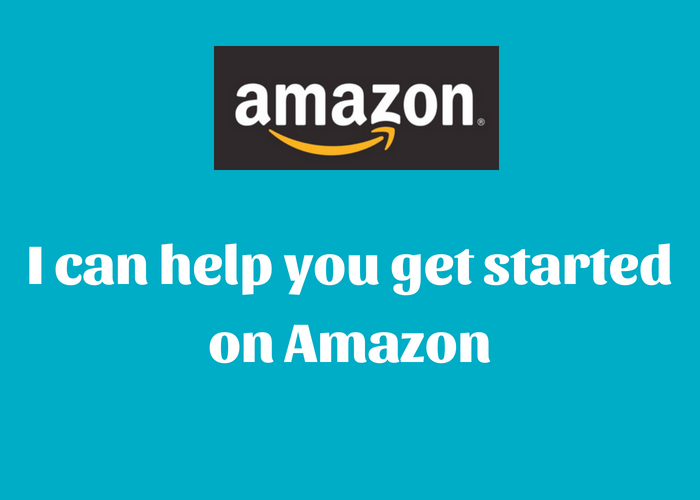 Getting started on Amazon (or any other online platform) is a learning curve. There are definitely plenty of resources out there - but it takes time to learn and mistakes can be costly. If you hire me to take care of a task (be it big or small) you can free up your time and know that your job is in safe hands. I’ve also been told that I’m nice to work with - but since I work for myself you’ll have to take my word on that!